I have somewhere a book of old Punch cartoons which has a Victorian / Edwardian one showing a vicar peering over the wall of a splendid cottage garden in which a man is working. I was reminded of this when I discovered this poor thing which, after a recent move, had been subject to the same combination of misuse and neglect which I have brought to my own person, family and friends for as long as I can remember. The leaves had nearly all fallen off and the blooms were tatty and past their best. 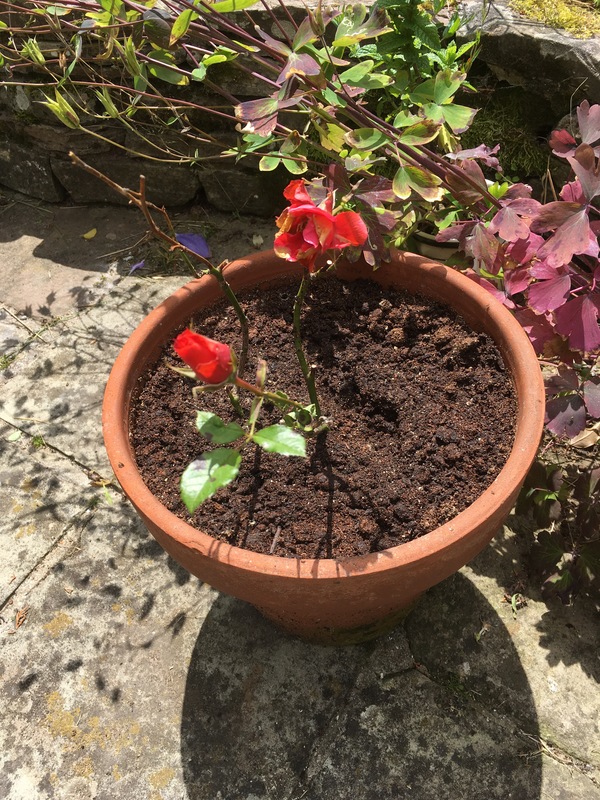 Hoping Providence would provide the necessary assistance, I put it in a bigger pot with fresh soil, with a bit of fish, blood and bone fertiliser mixed in to try to tickle the roots into life. This seemed to stop the rot, and green shoots began to appear after a week or so. Some of the lower ones dissapeared as soon as they appeared, and an early morning snotty trail told its own story, slugs. I covered the soil with the grouts from a couple of cafetières of coffee and that was that. 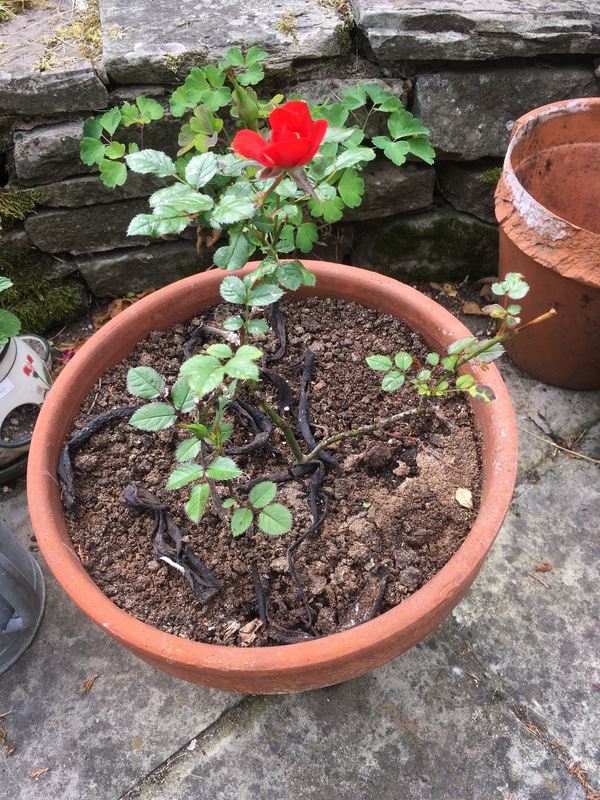 After another couple of weeks of regular watering and thinning out of dead wood, buds were beginning to form and it was clearly becoming viable. Time to start planning for its longer term health by laying banana skins on the surface as a slow release mulch. Today the first new bloom has opened, job done. This is all very rewarding, and I recommend finding something similar in your own garden if you can. I fully intend to take all the credit myself without reference to Providence, I’m sure she won’t mind.